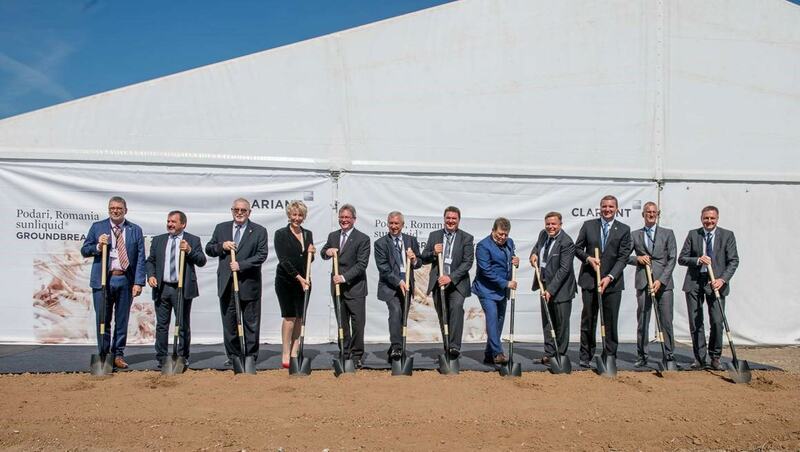 Speciality chemicals world leader, Clariant, has started the construction of the first large-scale commercial ‘sunliquid’ plant for the production of cellulosic ethanol made from agricultural residues. At the flagship facility, the sunliquid technology developed by Clariant is being used on an industrial scale for the first time. The realisation of the plant represents the biggest industrial commitment by an international corporation in this region. At full capacity, the plant will process around 250,000 tonnes/year of wheat and other cereal straw sourced from local farmers to 50,000 tonnes/year of cellulosic ethanol. Byproducts from the process will be used for the generation of renewable energy with the goal of making the plant independent from fossil energy sources. The resulting cellulosic ethanol is therefore an advanced biofuel that is practically carbon-neutral. Cellulosic ethanol is an advanced and sustainable biofuel. It is produced from agricultural residue such as wheat straw and corn stover, which is supplied by farmers. The straw is converted into cellulosic sugars. This is followed by fermentation to produce cellulosic ethanol. By using plant residues, cellulosic ethanol can extend the current production of biofuels to new feedstock and contributes to optimising the efficiency and sustainability of biofuels. Cellulosic sugars also have the potential to serve as a building block for future production of bio-based chemicals. The sunliquid technology offers a fully integrated process design built on established process technology. Innovation technology features such as chemical-free pretreatment, the integrated production of feedstock-and process-specific enzymes, and simultaneous C5 and C6 sugar fermentation ensure optimum cost-effectiveness.